Kirsten is excited to be making her Edmonton theatre debut with Workshop West. Select theatres she’s worked with: Lunchbox Theatre (Calgary), Foster Festival (St. Catherines, ON), ETC (Calgary), Vancouver Playhouse, Canadian Stage (Toronto), Electric Theatre Co (Vancouver) and ACT (Seattle). Select tv credits: Orphan Black, Designated Survivor, Girlfriends’ Guide to Divorce and The Arrangement. A graduate of Vancouver’s Studio 58, Kirsten was nominated for a Jessie for Lead Actress, and received a Jessie for Outstanding Newcomer. Thank you to Cheryl Foggo, and much love to Amy and Cooper. Kris Demeanor is a songwriter, poet, theatre and film artist- he's released seven recordings of original songs, most recently 'Entirely New Beasts' in spring 2016. He was the inaugural Poet Laureate of Calgary (2012-14), and has co-created and performed in Making Treaty 7, a multi-disciplinary show featuring First Nations and non-aboriginal artists illuminating Alberta's history. Kris has written songs for CBC’s The Irrelevant Show; collaborated with Ian Tyson, and fostered the creation of Shelter From the Storm- a songwriting project with clients of Calgary's Drop in Centre. Kris is honoured to be part of this passionate and inspiring production, and is happily moved to tears daily by Miranda Martini's songs. Barry is delighted to work with Workshop West for the first time. He has worked on productions across Canada – most recently, Les Miserables: First Draft (Theatre Smith-Gilmour), Spoon River Anthology (Keyano Theatre), and Walk Me to the Corner (Harold Green Jewish Theatre). Other companies include The Citadel and U of A; Theatre Calgary, Lunchbox and Quest Theatre; Carousel Theatre (Vancouver); Theatre Collingwood; Talk is Free Theatre (Barrie); Theatre New Brunswick and the Neptune Theatre (Halifax). Jesse Lipscombe is an actor, producer, entrepreneur and activist based in Edmonton, Alberta. Born and raised in St. Albert, Jesse started his acting career at age 14 alongside Sidney Poitier in the Calgary-shot film Children of the Dust. At 18, he received a full track-and-field scholarship to Martin Luther King Jr.’s alma mater, Morehouse College, in Atlanta, Georgia. Back in Edmonton, Jesse launched a full entrepreneurial and artistic career, opening fitness studios and restaurants, while continuing to act and produce in award-winning film and television productions. This year, Jesse was the recipient of the Obsidian Award for Top Business Leader in Western Canada, and he was named Community Man of the Year by Diversity Magazine. In September (2016), Jesse and his wife Julia launched the #MakeItAwkward campaign to combat racism, misogyny, homophobia and hatred of all kinds. Jesse and Julia are parents to three young boys, aged 9, 7 and 1. Miranda Martini is a musician and writer living in Calgary. She has won a Western Magazine Award for her journalism and has written extensively for the theatre. She enjoyed scoring and arranging music for Ellipsis Tree Collective Theatre Company from 2013-2015, and along with Kris Demeanor was the co-composer and co-musical director for Ellipsis Tree’s 2014 production of John Ware Reimagined. She is delighted to be reprising her role in the play for Workshop West this year. For over 40 years Kevin has worked in the arts as a performer, administrator, director, and educator. He was the 2015 recipient of the Harry And Martha Cohen award, in recognition of his sustained contribution to theatre in Calgary. In addition to working with many Calgary theatres, Kevin has also directed for Persephone Theatre (Saskatoon), Western Canada Theatre (Kamloops), Fringe Theatre Adventures, and Theatre North West (Prince George). Next up, he will direct Butcher in Vancouver. Kevin would like to thank Cheryl Foggo and the fine folks at Workshop West for the opportunity to share the story of John Ware. And to Leslie and Jesse for their love and support on every project. Jameela is an Edmonton-based actor and recent graduate from Macewan's Theatre Arts Program. She is delighted to make her Workshop West debut and be apart of John Ware Reimagined. Previous credits include: Soul Sistas (Mayfield Dinner Theatre), Disenchanted! (Foote in the Door Productions), Before the River (Mavka Theatre), The Drowsy Chaperone, Footloose, and Into the Woods (MacEwan University). Jameela is passionate about culturally diverse theatre and is thrilled to share this story that is embedded in Canadian history. Mukonzi is an M.A student in the drama department in the University of Alberta. He is currently conducting his research on Post-colonial theatre besides undertaking his graduate studies. John has been in Canada for a year and has worked as a dramaturge for Colleen Murphy for the new play Bright Burning. He has currently been working with Workshop West Playwright Theatre as a researcher and a dramaturge under mentorship and supervision of Vern Thiessen. He is the production dramaturge for John Ware a play by Cheryl Foggo this fall. Additionally, he is also a playwright and his new play Beyond The Darkness: Exfoliation received its first stage reading in New Works Festival this fall. He is passionate on mediating ways in which theatre can be used to bring the society close to its realities. He approaches theatre as a forum for discussion and (re)consideration on matters that need attention. Nasra Adem is a 23 year old multidisciplinary artist, community organizer and activist. She was the Youth Poet Laureate of Edmonton 2016/17 and is the Director of Sister 2 Sister: an artist collective for/by femmes of colour and the Black Arts Matter-Alberta's first all Black arts festival. 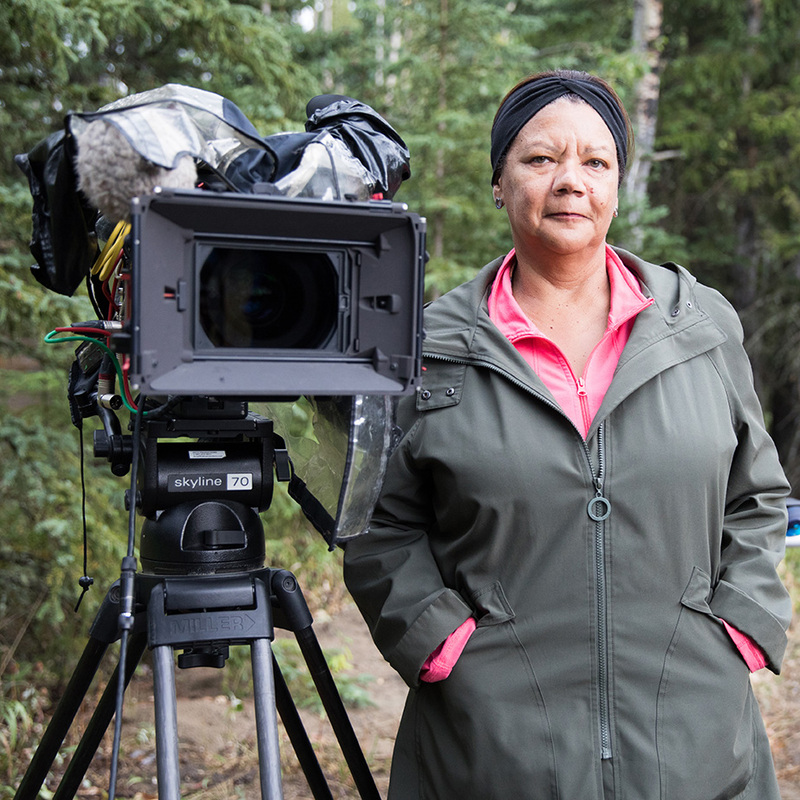 Nasra is excited to be the assistant director of Workshop West’s John Ware: Reimagined and to honour the legacy of Black love and Black history in Alberta. Steven is super excited to be apart of John Ware Reimagined. Steven is a recent graduate of Grant MacEwan’s theatre production program and super grateful to Workshop West for allowing him to learn and grow. His work includes: Stage Managing Footloose, Theory of Relativity (MacEwan), Seven Lost Minutes (Paper Doll Productions), and as the Assistant Production Manager for Found Fest 2017 (Common Ground Art Society).